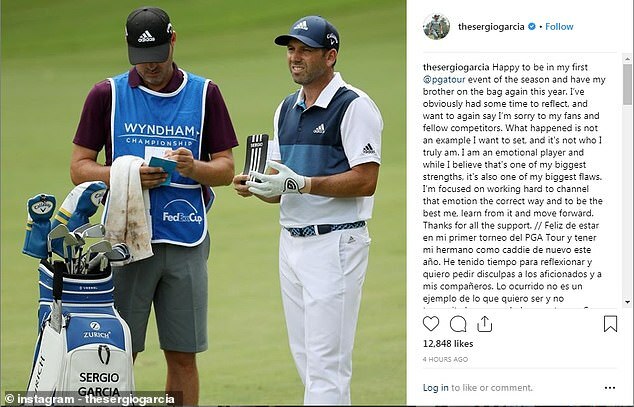 Sergio Garcia’s meltdown in Saudi Arabia recently was so extraordinary it led many to wonder whether there was more to it than he revealed in his two subsequent apologies on social media. Speaking publicly here for the first time about the incident on the eve of the Genesis Open on Wednesday, the volatile Spaniard was far more forthcoming and appeared genuinely contrite. ‘I received some very emotional, personal news earlier that week that didn’t help, and it was in the back of my mind,’ he said, without going into details about the personal matter. He can say that again. A day after an astonishing temper tantrum in a bunker, he vandalized five greens, one so badly that he left a divot in the putting surface. He became the first player in the history of the European Tour to be disqualified for such serious misconduct. 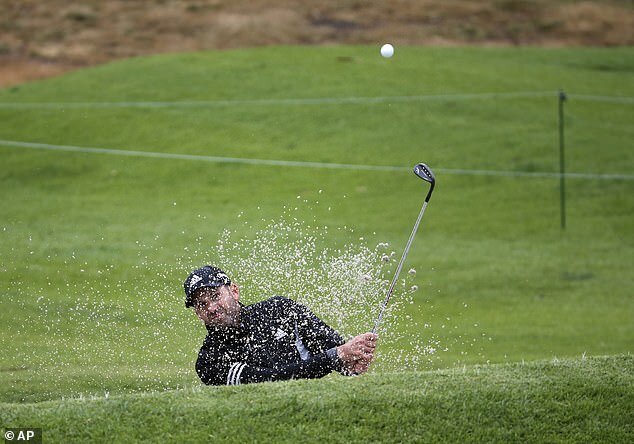 Garcia admitted he knew he had lost the plot on the course. He knows he will need his head in the right place from now on to win back the respect of his peers. Garcia responded: ‘When I next see Brooks I am going to tell him that I agree with him. I feel terrible about it. My job now is to make sure I deal with it in the best way possible, and show them that I can grow and move forward. Garcia concluded his eye-opening mea culpa with a nice line in self-deprecation. A bigger problem going forward might be with the American crowds, who have given him plenty of stick over the years for his earlier transgressions. He goes out in the first round today alongside American Keegan Bradley and Korean Sangmoon Bae.